If you crave a killer smile and sparkly teeth, your dental hygiene needs to top your priority list. Caring for your mouth will boost your self-confidence, encouraging more flirty smiles and puckering lips. 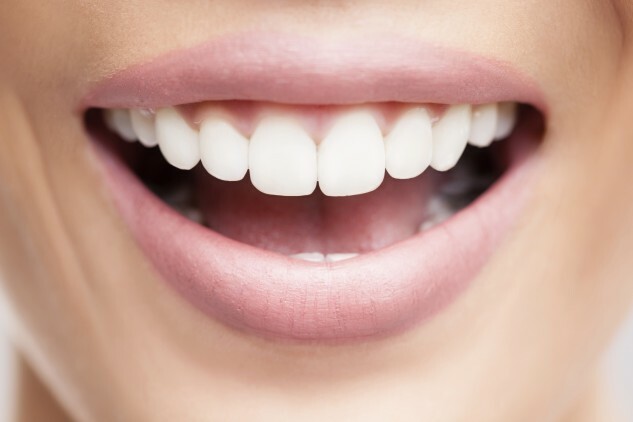 Read these 8 simple tips and tricks for brilliant teeth and always get caught smooch-ready. Your pearly whites need TLC at least twice a day. Brushing first thing in the morning and before bed prevents plaque buildup and bacteria, which trigger bad breath and gingivitis. To make sure you are brushing long enough, divide your mouth into four sections and brush for 30 seconds each. Don’t forget that your tongue also needs attention, so scrub away. If your toothbrush bristles are pointing in every direction but straight, it’s time to ditch. Think of your toothbrush as a seasonable accessory and replace it every three months to ensure it’s doing its job. Worn bristles will not clean your teeth and gums effectively, so always have a replacement in your possession. Flushing the toilet with the lid up causes gross bacteria and germs to float around and land on surfaces in the bathroom, including your toothbrush. Avoid a potty mouth by flushing with the lid down and keeping your toothbrush at least six feet away from the toilet. If you have the misfortune of dropping your toothbrush on the bathroom floor, disinfect the brush by soaking it in hydrogen peroxide or antibacterial mouthwash, boiling it, or running it through the sanitize cycle in your dishwasher. If your teeth are dubbing as tools, you might be visiting your dentist sooner than you think. Using your chompers to bite your nails, open a nail polish bottle, tear a piece of tape, or rip open a bag of chips, will cause micro-fractures in the enamel that may become apparent with time. Avoid a pricey and painful dental procedure by only using your teeth for a seductive smile or to enjoy a meal. Eating and drinking foods that naturally brush your teeth are a great alternative when you can’t brush immediately. Crisp and crunchy vegetables, such as carrots and cucumbers, clean your gums because they take time to chew. Strawberries and kiwis contain Vitamin C, which helps protect your gums from breaking down. Cheese is chock full of vitamins and cavity-fighting agents that protects your enamel. Green tea contains plaque-fighting polyphenol antioxidant plant compounds, which help decrease cavities and gum disease. Bubbly drinks might keep you frowning more than smiling, especially if they are high in sugar. The acidity in carbonated drinks causes tooth erosion, which involves the loss of hard tissue from a tooth’s surface. Symptoms of dental erosion includes sensitivity, enamel fracture and pain. Another reason to hang around the water cooler instead of the soda machine: sugar causes tooth decay – damaged hard surfaces on your teeth that turn into tiny openings or holes. To avoid unwanted stains and erosions, pucker your lips and drink through a straw. Dark liquids like wine, black tea, soy sauce, and soda latch onto your enamel, causing stubborn stains. Opting for a straw, prevents liquids coming in contact with your teeth, especially the front ones. For accuracy, position the straw toward the back of your mouth, instead of the front to limit contact with the staining pigments found in tinted drinks.